Tying in nicely to my last blog CPR As A Basic Holiday Survival Skill (which I wrote before seeing this report), is a statistical bulletin released today from the UK’s Office of National Statistics called:. The last time EWM (Excess Winter Mortality) rates were this high in the UK was in 1999, a year which saw an unusually severe flu season both in the UK and the United States. The report blames a less-than-optimal flu vaccine match, and a severe H3N2 flu season (which hits older people harder than H1N1), for the spike. Levels of influenza in 2014/15 were higher than recent years, as were peak intensive care numbers, but were lower than 2010/11 which saw very high levels of influenza (Public Health England, 2015). Despite this, EWM was higher in 2014/15 than in 2010/11. 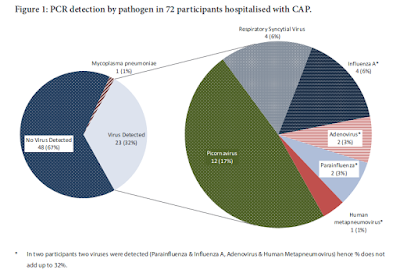 In 2010/11 the predominant influenza virus was A(H1N1), as in 2013/14. One reason for the reduced EWM in 2010/11 when compared with 2014/15, is because the predominant strain of influenza in 2014/15 was particularly virulent in older people, an already at-risk group, whilst in 2010/11 the predominant strain of influenza was a particular problem in younger people and had less impact on the elderly (Public Health England, 2014). In addition to this, the influenza vaccine in 2010/11 was around 50% effective (Public Health England, 2011), compared with the 34% effectiveness in 2014/15. Vaccine uptakes were similar in 2014/15 to previous years, though uptake was slightly lower than in previous years in those under 65 in a clinical risk group (Public Health England, 2015). Ineffective flu vaccine causes the number of excess winter deaths to TRIPLE in a year - to the highest level this century – Daily Mail. Perhaps the bigger story is how many lives have been spared over the past 15 years when the flu vaccine was a reasonably good match . . . and how many more lives we could save if we had a more effective flu vaccine for the elderly, and a greater uptake among vulnerable populations. While most of the `excess winter deaths’ are attributed on death certificates to other causes – pneumonia, heart attack, stroke, etc. – we know these rates go up and down with the severity of each year’s flu season, and with the effectiveness of the each year’s flu vaccine. Hence the spate of recent studies showing that flu vaccination can reduce the rate of heart attacks, and other cardiovascular events, in the elderly (see UNSW: Flu Vaccine Provides Significant Protection Against Heart Attacks). Unfortunately, the flu vaccine’s effectiveness tends to drop the older the recipient, sometimes due to a less robust immune system, and sometimes due to medications (see JID: Statins & Flu Vaccine Effectiveness), or other chronic health conditions. For those over 65 there is a High-Dose flu vaccine option currently available that contains 4 times the normal amount of antigen; 60 µg of each of the three recommended strains, instead of the normal 15 µg (see MMWR On High Dose Flu Vaccine For Seniors). But even at a reduced vaccine effectiveness, some protection beats no protection at all. And there is some evidence that even when it doesn’t prevent infection, the flu vaccine may reduce the severity of illness (CDC: Flu Shots Reduce Hospitalizations In The Elderly). As regular readers of this blog already know, I get one every year. And while I sometimes worry that the benefits (and effectiveness) of the flu vaccine are oversold, flu vaccines remain our best protection against a virus that is estimated to kill a half million people around the globe each year.